Weekly walks will return in April 2019, dates TBA. The Shadowcaster will take you on a journey through the most haunted areas of the city. Hear tales of the many lost spirits and poltergeists who are still seen, and heard, to this day! Weekly walks return in April 2019. The original Norwich Ghost Walks are open to all. 3 different routes! Weekly Walks - 7:30pm MONDAYS / TUESDAYS / THURSDAYS. No need to book, just show up on the night. All walks start from the Adam & Eve pub, which will be open for refreshments and toilet facilities. Public car park is opposite the pub. Weekly walks start at 7:30pm and last approximately 2 hours. Be sure to check the dates below! Tickets: Adults £8 / £6 Concessions. Spooky Meal Deal £14 - Menu Options available from the pub. Please book ahead with the Adam & Eve for this offer: 01603 667423. The walks are scary fun for everyone, except for young children or those of a nervous disposition. Recommended for ages 10+. Dogs on a lead are welcome. TUESDAYS - 7:30pm From APRIL - DECEMBER - 2019 dates TBA. 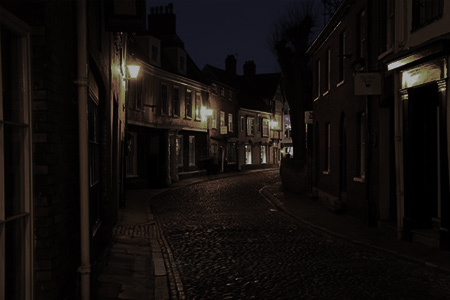 Take a spooky walk through the oldest part of Norwich featuring the famous cobbled streets around Elm Hill. THURSDAYS - 7:30pm From APRIL - DECEMBER - 2019 dates TBA. MONDAYS - 7:30pm From APRIL - DECEMBER - 2019 dates TBA. 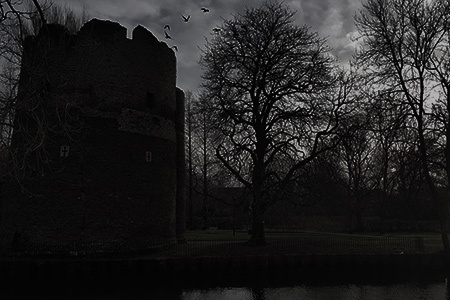 Dare you follow the Shadowcaster along the banks of the river, hearing tales of it's haunted past? Looking for our Halloween and Christmas shows? 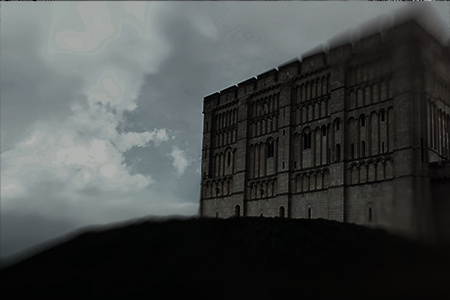 Norwich Ghost Walks are proud to offer the service of private walk events, whether it's for a hen-do, birthday party, corporate event, work do, sports group or family outing. We offer tailored walks to suit the needs of your group, which can be booked in advance for a fun and spooky evening in 2018! Any size group can be accommodated, the cost is £8 per person, with a minimum booking of £100. Please contact us for availability and to find out more!